Let’s start off this review by throwing some words at the book. And, boy it is hard to say those words towards most of books. I had figured “original” was dead and gone… under a thick layer of dust, but gladly, I am proven wrong. 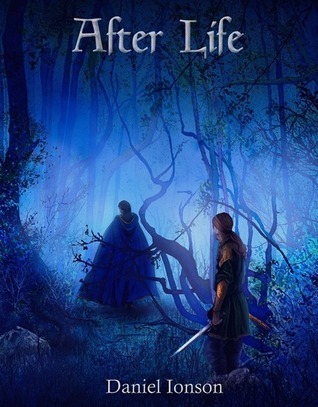 I don’t know if I have been reading different kinds of books, or what is it- but “After Life” has opened a totally new and unexpected world to me. There is so much happening, so many characters are involved and I feel like I am reading a movie. Not in the sense of “Oh my gawd, this needs to be a movie!” (even though it would probably be cool)- I mean it in the sense of- the way everything is written plays perfectly in my head. I can see places, I can visualize characters and situations and feelings. The storyline wraps around you as soon as you start reading. I found the beginning a bit overwhelming what with a lot of new characters being introduced with each paragraph but they all work out into a clear picture seamlessly.I am amazed at the character and place names. I mean- have you ever tried to write a story and give your characters and places names? It ain’t easy. Try! So for this reason the complexity of names in “After Life” makes me want to tip my hat to Daniel. Well done! Interesting fact- the place of After Life itself as being called “Tuonel“. It just stuck me, on page half-ways-in-the-book. In Estonian the otherside of life is called “Toonela“. Hmm, coincidence? Daniel? I’m a bit creeped by the book and it’s awesome that I am! This book is a true work of the best literature you will find on any bookstore, library or virtual shelf. A complex work of beauty and pain. Of love and camaraderie. Of life and death.